California rapper Tyler the Creator is back with his most intriguing and fluid record to date, Flower Boy. In the past, Tyler’s records have been very hit and miss, but this one is a stand-out and is without a doubt the best of his tumultuous career. The first half of this record is so so good. Foreword is a great opener, which sees Tyler briefly dabble into the subject of his sexuality, something which has grabbed the attention of the media in the build-up to the record’s release. 911/Mr Lonely and I Ain’t Got Time! are without a doubt the best tracks on this record, so much different to the music that Tyler was releasing previously. I’m taking a guess that he’s realised that the production on tracks, especially with rap music, is so crucial to making it a success critically but also for radio play. This is backed up with the smooth vibes on Garden Shed. 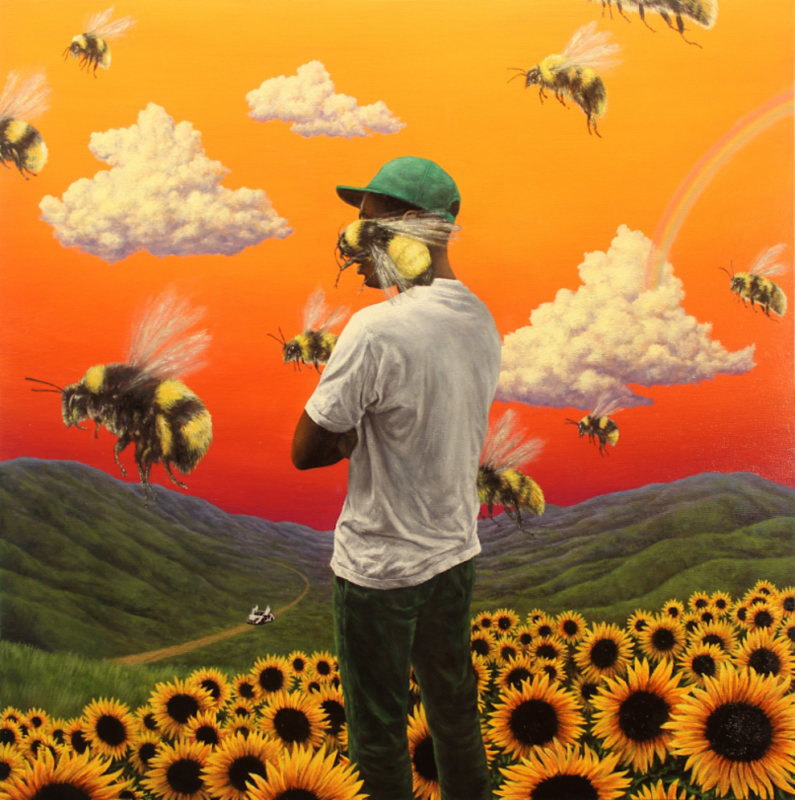 The inclusion of RnB star Frank Ocean on most of the tracks on Flower Boy is welcomed, most notably on the track Boredom, which is probably the best song Tyler has ever made. Flower Boy is Tyler’s most memorable and mature record so far. It has some great tracks on it, none of them seem out of place. It really shows that Tyler has found himself musically and creatively on the back of some of the incredible tracks on the record. The best rap record of 2017 so far. Flower Boy can be streamed on all major streaming services.